Craigslist is one of the most popular ways to sell items locally. It is free and attracts plenty of traffic in most locations. But, listings are limited to one photo and a short description of the item. ListHD.com offers Craigslist users more eye-catching listings, with YouTube videos and up to 20 HD-quality photos. Click the Register Now button towards the bottom of the ListHD.com homepage to register for an account. Registration requires entering a name, email and location, then creating a password and username. You must verify your email address before the registration is complete. When finished, a page with Craigslist categories and listings appears. Click Post an Ad to start creating your ad. Choose a category and subcategory for your ad. Enter a description for your item. 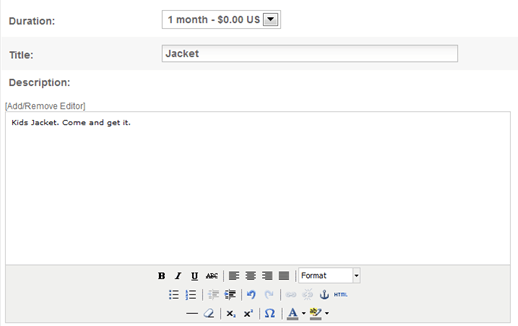 Use the tools at the bottom to add HTML, background colors, font styles and other customization to your ad. Click Next Step. 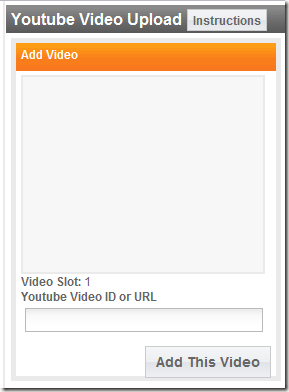 Here, you have the option to add YouTube videos and photos to your ad. Enter a YouTube video’s URL into the box that says YouTube Video ID or URL. Click Add this Video when finished. Just below the option to add YouTube videos is the option to add up to 20 photos for free, with photos after that costing $5. 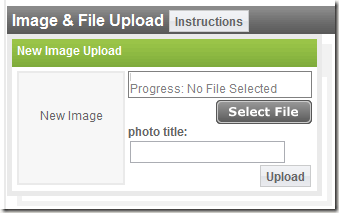 Click Select File to upload a photo, then give the photo a title and click Upload. Click Go to Cart when finished. A cart-style page will appear with your listing’s information. Click Check Out to post your ad. However, your ad is only posted within ListHD.com. To post it on Craigslist, there are extra steps. Click the My Account link at the top of the page. Next, click My Active Listings from the selections on the left. Click your advertisement from the list that appears. Scroll to the middle of the page, then click Login to CL. Provide your Craigslist account information. Next, click Poster Popup. On the left side of the page is the information needed to post your ad. On the right side of the screen in Craigslist’s ad creator. Paste the information from the left side to the right side as the corresponding boxes appear. The description text from ListHD.com contains your pictures. When finished, your advertisement will contain your videos and HD pictures. While there are a great number of steps to using ListHD.com’s service, it does exactly what it promises. Since the service is in Beta, we have high hopes the posting process will be simplified in the coming months.